This Week's Haul: Supergirl for Everyone! So I've already told you how awesome The War at Ellsmere, which came out this week, is. But there were also a lot of other awesome comics! Probably some bad ones too, but I fortunately didn't read any of those! I think that all the confusing mess that was Batman: R.I.P. was worth it if it got us to this issue. It is absolutely bananas, but really, really enjoyable. It reminded me of All-Star Superman, the way that it embraced and celebrated Batman's zany silver age past. Grant Morrison...you are alright with me! I definitely had high hopes for this one, and I wasn't let down. It's fun and silly and it pays no attention to proper canon or continuity. In other words, it's perfect for kids. And, much like Tiny Titans, it is fun for adult nerds as well. Everyone should seriously be reading this series. I am going to keep saying that every week until it is over. This is the Superman/Supergirl interaction I have been waiting for. And everyone should seriously be reading this series. I can't say enough good things about Jonah Hex, even though I don't talk about this comic nearly enough on this blog. It's completely and totally awesome. I know it is perpetually in danger of being canceled, and it would be tragic if it happens. Comic fans keep asking for one-shots and this is a whole series made up of them. Plus it has great writing and all-star artists. I don't want to say the word 'perfect' here, but these last two issues of Spider-Man, by Mark Waid and Marcos Martin, have been pretty damn close. They have everything you could possibly want in a Spider-Man comic. Not only is Spider-Man witty and likable throughout, he is also incredibly heroic. I was almost teary-eyed. HE JUST GIVES SO MUCH OF HIMSELF! Man, that Gog guy wasn't as cool as he seemed. Colour me surprised. 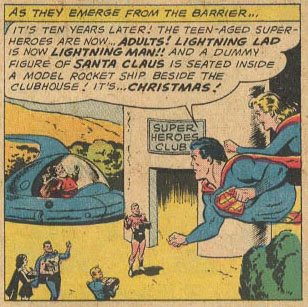 I was sure everything would work out fine for those tortured souls who populate the Justice Society. Hey! Y'know what else came out this week?! Showcase Presents: Supergirl v.2!!! Not convinced? 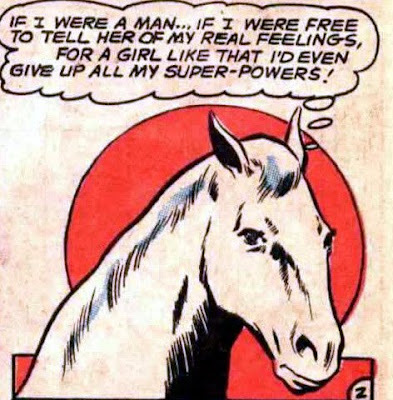 How about a 2-part story where Comet the Superhorse turns into a human temporarily and starts dating Supergirl? That's why I don't date horses. They lie. Welcome to Living Between Wednesdays...where we like our coffee black and our comic reviews late. I have been awful sick lately, but fortunately there were a lot of good comics to read. I have been very slowly writing these mini-reviews over the past few days, taking frequent nap breaks. J.Bone not only did the cover for this issue, he did the interiors! Yay! 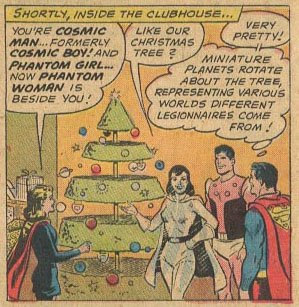 It's Superman's birthday and everything is adorable, from Lex Luthor being cranky about not being invited to the party, to Batman explaining pinatas to the readers. Mark Waid teams up with Marcos Martin to bring us one of the most delightful comics I have ever read. This was seriously great stuff, the latest in a long series of great Spider-Man comics. If you like hot naked ladies, then you will probably enjoy this. And even if you are more into well-written, nicely-drawn ladies, like I am, then you will also enjoy this. And speaking of hot ladies, Terry and Rachel Dodson provide the art for this month's issue of Uncanny, and that made me very happy. Especially since this issue gives us a tour of Cyclops' horny psychosis, which is full of beautiful women made even more beautiful by Team Dodson's art. I'm glad I am reading X-Men comics again. It makes me feel like I'm 15. I just wanted to remind everyone that this series is great and the art is beautiful. Look at that cover! She's tying her hair up! Just like girls do when they are exercising! I am loving this New Krypton cross-over story so far. Not only because there are so many talented people working on it, but because it is non-stop and has been coming out on time. Every week we get a new piece of the story via Superman, Action Comics, Supergirl, or a number of fantastic one-shot specials. It's fluid, it's interesting, and it's fun. 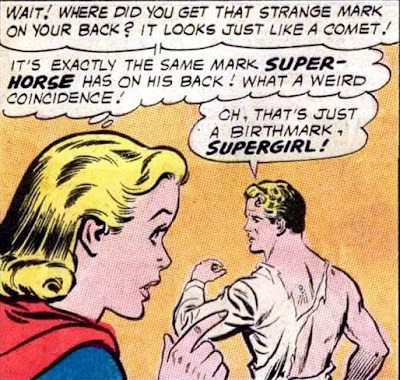 And Sterling Gates is doing a great job writing Supergirl. I can't even tell you how much I am loving this series. And a good thing is made even better this month because there is a very long back-up story drawn by Colleen Coover! And it features Milly the Model! Seriously, Jeff Parker. You are killing me. My love of Jason Aaron's run on Ghost Rider runs deep. This issue gave us what he has been building to since he started: a big ol' battle between Johnny Blaze and Danny Ketch! Sweet Ghost Rider on Ghost Rider action! It's a good time to be an Ambush Bug fan. Not only has this series been a lot of fun (and badly needed because there is so much DC craziness to make fun of right now), but it looks like we're finally going to get the long-rumoured Showcase Presents Ambush Bug collection in February! Yay! If you have an extra $9 you could do worse than picking these up. This is a little late, but there were three comics that came out last week that I'd like to bring everyone's attention to because they were good and probably overlooked. If you have been enjoying recent Supergirl comics as much as I have, then you should definitely check this out. If I had to say when it takes place in continuity, I would say sometime in the last year, before the Death of the New Gods and certainly before New Krypton or a lot of recent Superman events. Supergirl is still heavy into her self-doubt phase, and Superman has decided to help her out with that. The main premise is that a Apokaliptikan babe named Maelstrom is in love with Darkseid and is hoping to impress him by killing Superman. She goes to Earth, destroys a chunk of Metropolis, and makes Supergirl sad. It's all very well-written (Jimmy Palmiotti and Justin Gray) and beautifully drawn (Phil Noto). 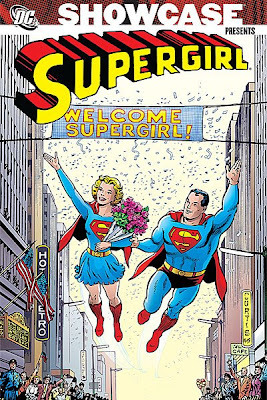 It's one of those mini-series that you can easily ignore, but if you are a fan of Supergirl at all, this looks like it's going to be a really high-quality mini-series starring her, and that alone is something to celebrate. It's been a Palmiotti/Gray-heavy week for me. For the record, Jonah Hex was also awesome this week. I stopped reading Teen Titans months ago. And I REALLY don't care about the Terror Titans or whatever. I definitely would not have picked this up if it weren't drawn by Amanda Conner, who is fantastic and doesn't draw nearly enough books. So if I have to read a comic about a charcter I don't care about to see her art, I will do it. But this actually was really enjoyable. 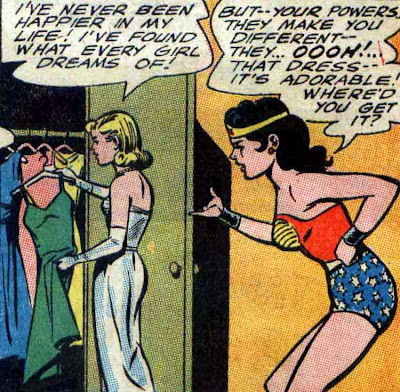 The Justice Society, and, in particular, Power Girl played a big role in it, so that was good. Everyone looked really hot, especially Terra. And I love the fun stuff that happens in the background of Conners' art, and her facial expressions. This comic was BEAUTIFUL. Mario Alberti throws down some gorgeous art for this story which is set in the sixties. The comic tells a story of one of the first meetings between the original X-Men and Spider-Man. Christos Gage provides fun dialog and lots of humour. AND...Kraven the Hunter is the main villain! My understanding is that this 4-part series will move out of the sixties and tell a story that spans the last several decades. I think this is going to be a great mini-series. Remember to vote today, Canada. And if you want to vote against Harper, that's cool with me.